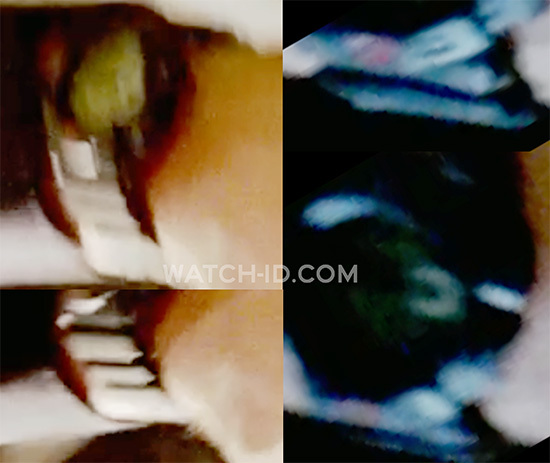 Gerard Butler wearing a Casio G-Shock G9100-1 watch in the film Olympus Has Fallen. 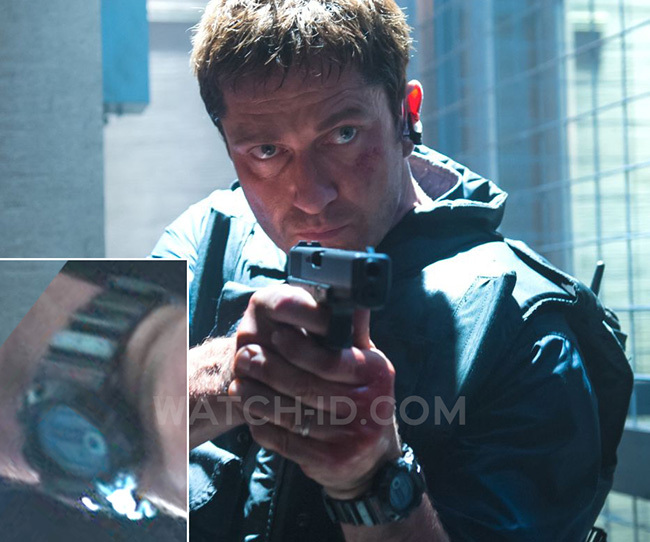 Actor Gerard Butler, as secret agent Mike Banning, wears a Casio G-Shock G9100-1 watch in the movie Olympus Has Fallen. This watch is available for example on Amazon.com for $85, or Amazon.co.uk for £60, or at eBay. 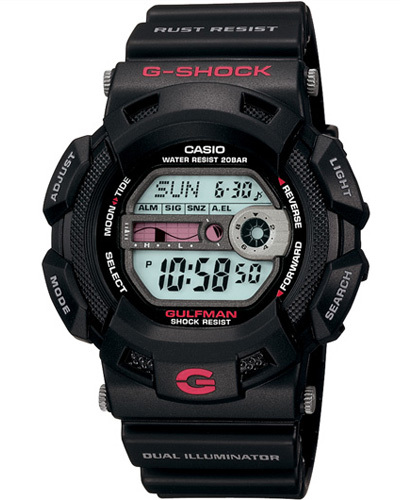 The Casio G9100 Gulfman G-Shock features a tide graph and moon date, and of course like all G-Shocks is shock and rust resistant, has auto dual EL backlights with afterglow, world time, 3 multi-function alarms, countdown timer, 1/100 second stopwatch, hourly time signal. The exact same Casio watch was worn by Wagner Moura in the movie Elite Squad 2.